If there is one thing that all business owners need to do, it’s investing in a commercial janitorial service from Red Door Cleaning in Edmonton. This can be a huge benefit to your company in many ways. Not only can it be great for your team, it can also have an impact on your bottom line. Wondering how? Here‘s why having a professional cleaning service is so important for your business. First and foremost, having a dirty, cluttered, unorganized office is going to make customers or business partners want to leave. When anyone comes into your office, they will immediately equate the way your business operates with the way the office looks. If the office is clean, sanitary, well-stocked, organized, and running efficiently, they’ll think that your company is also organized, efficient, and detail-oriented. If your office is dirty, disorganized, or always short on paper towels in the bathroom, they won’t be impressed. Did you know that having a lot of dust in the air can actually make your electronic equipment wear down faster? If you’ve had to constantly replace computers, printers, and other equipment, you may be surprised by how this routine slows down once you have a commercial janitorial service from Red Door Cleaning in Edmonton to clean your office. The equipment will be cleaned, the air quality will be improved, and that can extend the life of the equipment by quite a lot. It can also help ensure that the equipment remains covered under warranty. There have been many studies proving that people work better and focus better in orderly environments. When a desk is clean and tidy, it’s much easier to focus on tasks. Likewise, when an office is clean and tidy, it’s much easier for employees to focus on what they need to be doing. But beyond the mental aspects of a clean environment, there are two important practical aspects that boost productivity as well. The first is the fact that a clean environment is simply easier to navigate. It’s faster and more efficient to walk straight from the office to the copier and back if you don’t have a bunch of recycling boxes in your way that hasn’t been taken out yet. The second is that a clean office keeps everyone healthier. When the air quality is sanitary, there are fewer allergens and germs floating around that can make it hard to shake the shared office cold. By having a professional cleaning service come in routinely, you’ll cut down on sick days and boost productivity. 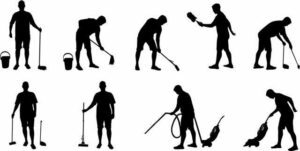 So, as you can see, hiring a professional commercial cleaning team has several benefits that truly do affect your bottom line. You’ll earn more revenue by attracting more customers; you’ll spend less by extending the life of your equipment, and your team will work more efficiently in a clean environment. But why wouldn’t you just make sure the office gets cleaned by the employees that are there all day anyway? 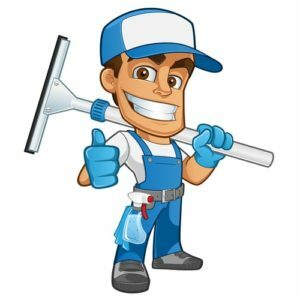 The final reason that hiring a professional commercial janitorial service in Edmonton is so important is that this team knows how to properly clean and sanitize, and they do it routinely. Your office won’t just get cleaned when your employees have time between their other tasks; it will stay clean on a schedule. And that means you can count on a better bottom line, routinely. 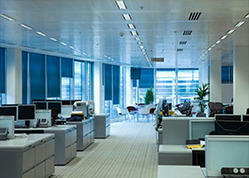 We can help you find a solution for your commercial cleaning needs. Call Red Door Cleaning in Edmonton at 780-686-9974 or send us an email at info@reddoorcleaning.ca to learn more. No matter what kind of property you own, from a home to an office, there is one thing that we can all agree on: cleaning windows can be a pain! But when the summertime rolls around, having beautifully clear windows is a must. All that natural light makes any space feel cleaner, bigger, and brighter – but to invite the light in, your windows need to be sparkling. Instead of struggling with windows, hiring a professional can save you a ton of time and hassle. Here are some of the top benefits of leaving your summer window cleaning to the pros. The biggest reason to leave your summertime window cleaning to a professional is that you won’t have to worry about streaky windows. Professionals have the right tools and experience working with glass, which can be tricky to clean. And if your building has a frosted glass or other unique features on the windows, it can be even more complex to get the perfect clean. Thanks to experience and the right tools, a professional can ensure that your building or home looks pristine. For business owners in Edmonton, this is a must. You want your office building to present a great impression to anyone passing by or coming in, and dirty windows won’t do that. Having your windows cleaned on a regular basis will keep the first impression of your company favourable. For homeowners, having pristine windows can mean that you love your home even more! You’ll have plenty of sunshine warming up your space, making it beautiful for entertaining or relaxing. If your home or building has multiple stories or very large windows, cleaning the windows can be a safety issue. For large commercial buildings in Edmonton, scaffolding or other special equipment may be necessary to reach the upper windows. 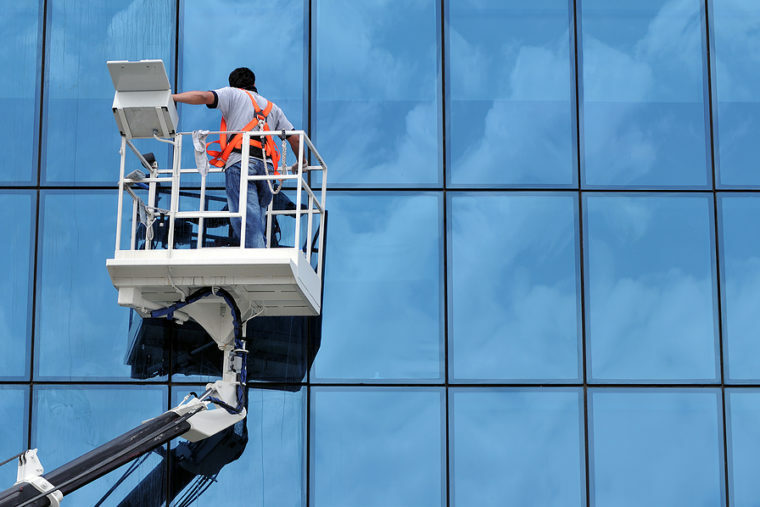 Professional window cleaners have insurance to protect them from injuries, as well as professional education and training so that they can clean windows safely. This all means that you don’t have to worry about the cost of injuries should any accidents happen. For business owners, that can mean the difference between having a huge lawsuit on your hands, or not. For homeowners, it can mean that you don’t have to suffer through injuries if you try to clean tall windows yourself. One of the biggest reasons to hire a professional to care for your windows during the summer is that you won’t have to do it! If you are a business owner in Alberta, you can keep your employees focused on what they need to do, instead of tacking on yet another task to their to-do lists. That means they’ll be more productive, and you won’t have to worry about how often the windows are getting a proper clean. For homeowners in Edmonton, having one less chore means you can enjoy your summer! Get out with your family instead of spending your time carefully cleaning your windows to get that perfect look. 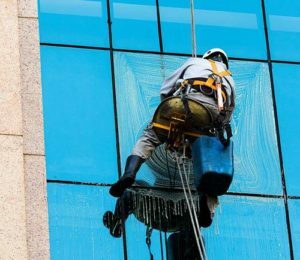 Finally, a professional window cleaning service can offer certain extra services that are very cost-effective. A great example is a protective covering that helps prevent rain from leaving streaks on the glass. That means that over time, you won’t need to have the windows cleaned as often. That’s just one great example of how window cleaning companies can help protect and improve the appearance of your windows. If you have a window cleaning dilemma, don’t hesitate to reach out to Red Door Cleaning. Email us your questions at info@reddoorcleaning.ca, or call 780-686-9974. How Long Should it Take to Clean My Building?